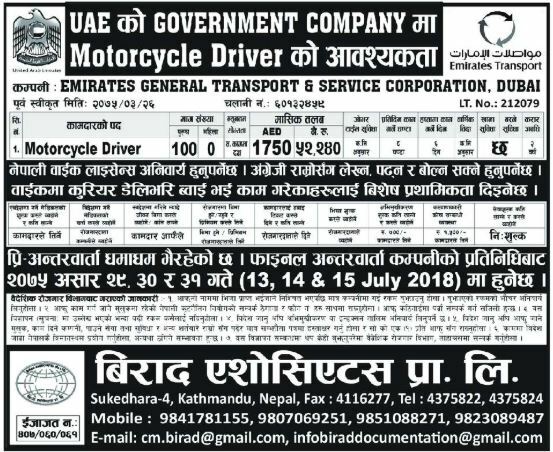 Emirates General Transport & Services Corporate Company of UAE is seeking for the post of Motorcycle Driver. 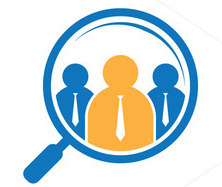 Interested Nepali candidates may apply as soon as possible. 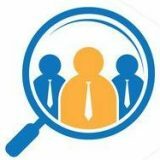 Birat Associates Pvt. Ltd., Sukedhara, Kathmandu.